Where are Apao Rolling Hills? 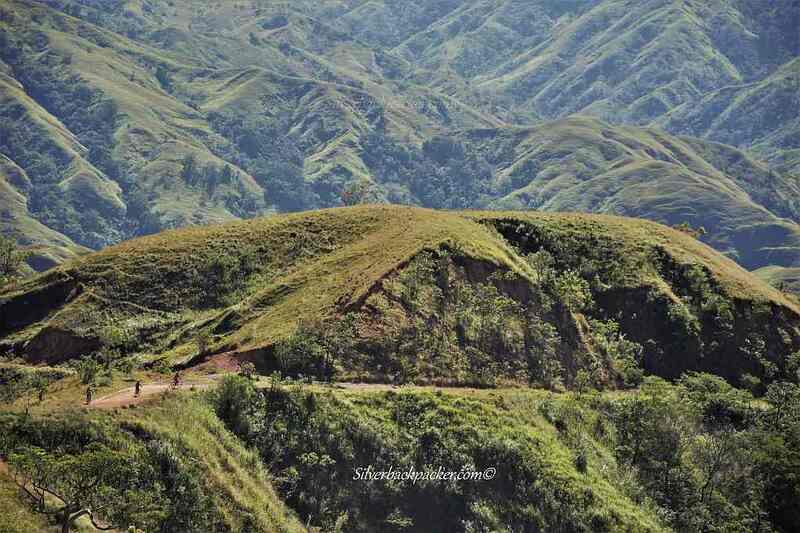 The Apao Rolling hills are a series of wavelike rolling hills about 50km north of Bangued in the Municipality of Tineg. Roads are improving and are concreted nearly all the way to Vira, the new Capital of Tineg. 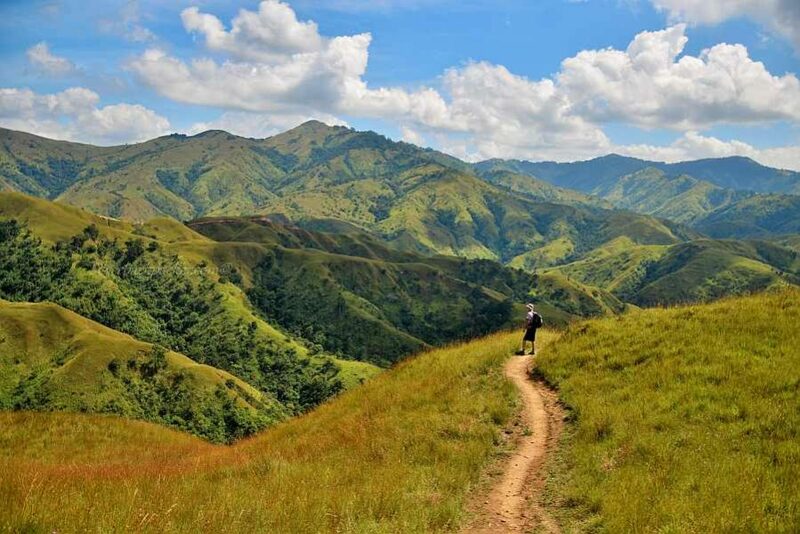 Travel to this remote part of Abra is becoming easier. 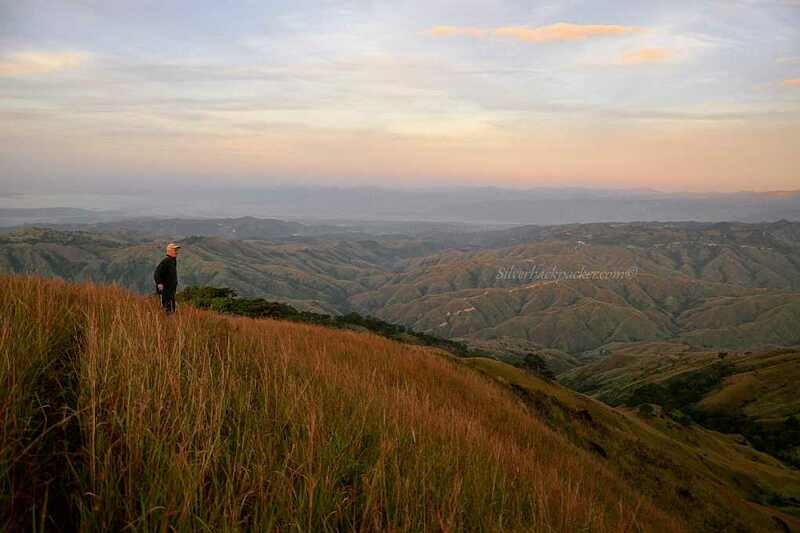 The best viewpoint to take in the full wonder of the scenery of Apao Rolling Hills is just outside Vira. You need to pass by the row of wooden makeshift houses and stores that line the road and turn right down a dirt road, not far out of town. From here you can gaze and be mesmerised at the natural wonder opening up before you. There are two sides to Apao Rolling Hills. During the rainy season the Hills are various shades of green, which is a vast difference from the dry season when the colours change to brown as the grass that was once green lacks enough moisture for existence. But fear not, the views are just as astounding. 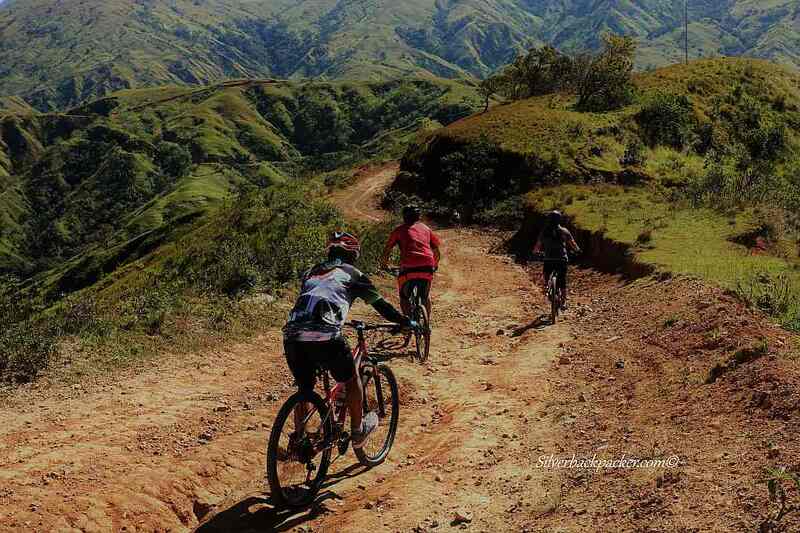 The travel show Biyahe Ni Drew was recently filming in Apao Rolling Hills for an upcoming TV programme hosted by Drew Arellano, who experienced a cycling adventure there before heading to Piwek Rock Formations for some cliff jumping. 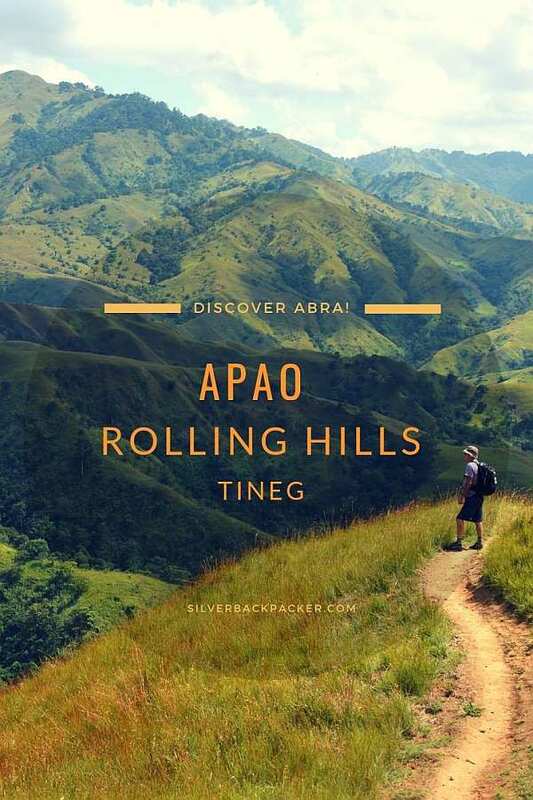 There are trails scattered through and over Apao Rolling Hills that have been used for centuries by the local villagers who have walked and still walk from their homes and villages to other parts of Abra. Starting from Vira you can follow them through the scenic hills and see where you end up. Bring your own Mountain Bikes. There is plenty of safe parking near the Municipal Hall. 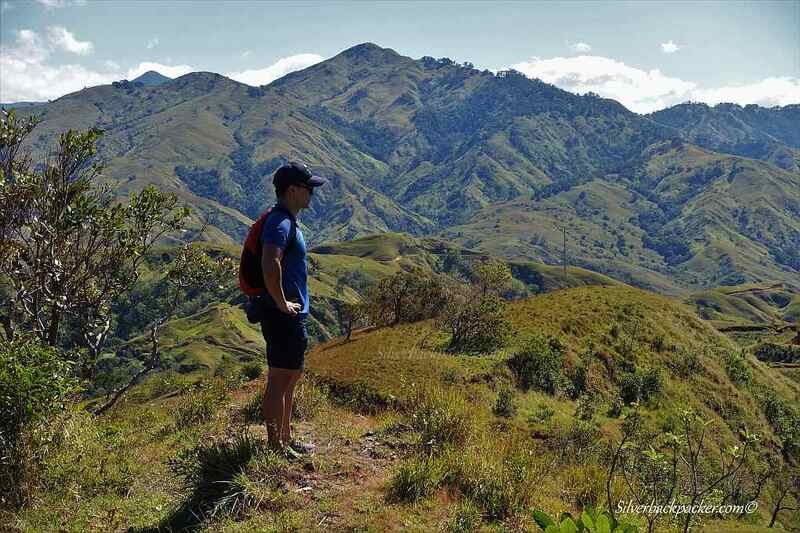 For hiking enthusiasts, the Apao Rolling Hills provides some of the best hiking opportunities in the country. Trails through them lead you to nearby settlements. 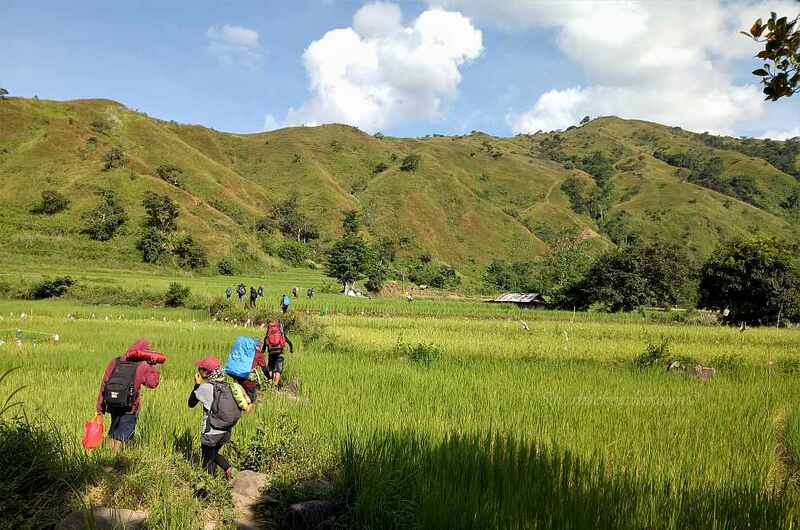 For a Day Hike, you could make your way from Vira to Barangay Apao and back. 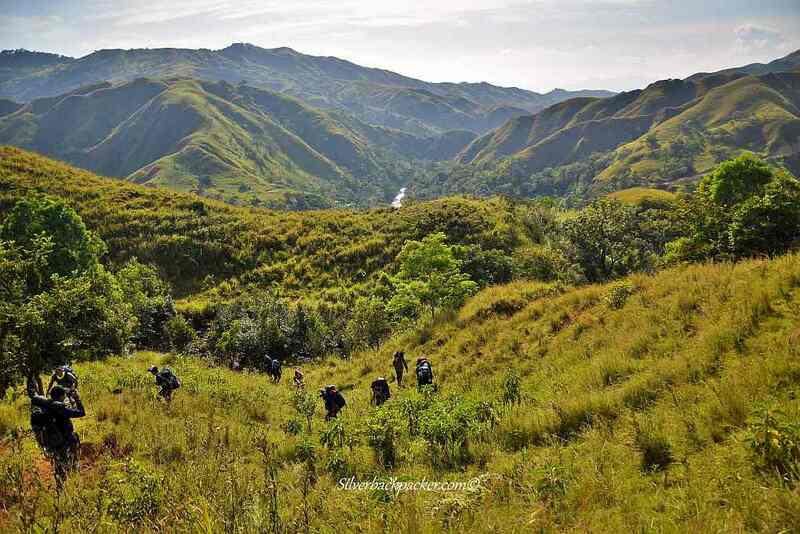 The hike passes through Apao Rolling Hills down to a river and on to Brgy Apao. Allow four to five hours for the trek. It’s also possible to traverse hike from Vira, via Lan-ag to Lacub along the Binongan River Valley and return to Bangued from there. This hike will take two days. 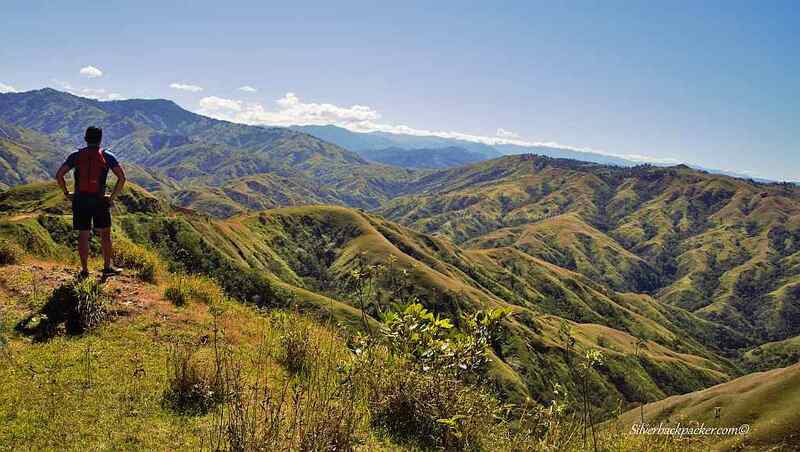 Mountain Climbing is another outdoor activity in the Apao Rolling Hills area. From Vira, Mt. Pisusok can easily be climbed in a day if you start early in the morning, or if you prefer a little more adventure, camp near the summit, watch the sunrise and then return to Vira, or carry on hiking for another day to Lacub. 3. Visit Vira, the new Capital of Tineg – Witness the development of a brand new town. The Capital of Tineg used to be in Agsimao in Upper Tineg, upto 12 hours away from Bangued, which proved very difficult to administer the Municipality. The new site of Vira is only 3 hours away and still in development. An excellent place to view sunset is behind the Municipal Building. 4. Go Cliff Jumping at Piwek Rock Formations – Just a 30 minute drive away from Apao Rolling Hills is the small Brgy of Alaoa, home to the Piwek Rock Formations. These Limestone Rock Formations on the Binongan River should not be missed if you are in the area. Challenge yourself to an 11 metre cliff jump and swim in the cool waters. Continue to San Juan. Drive through San Juan until you come to the turning for Tineg. 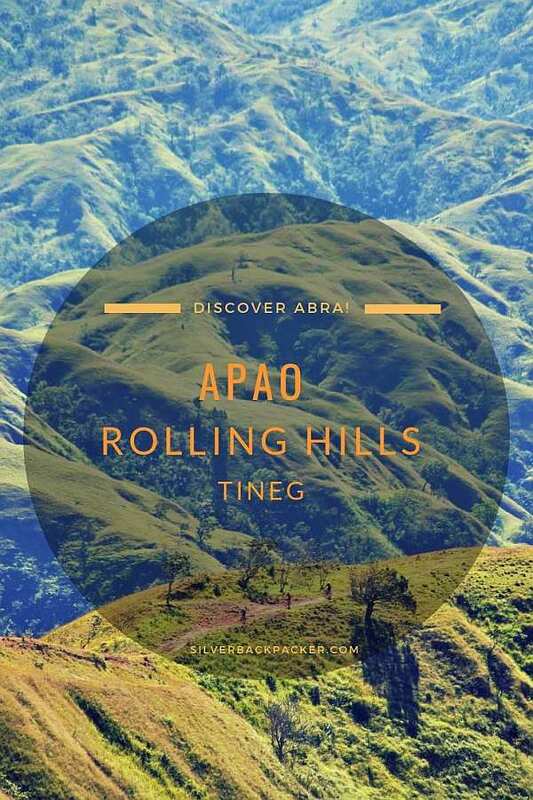 Did you like “Apao Rolling Hills, Tineg | Hike Abra” ? If so then please share this page with your friends.